Yugan operates over a vast territory in Auckland including: Mount Roskill, Epsom, Hillsborough, Botany, Pakuranga, Saint Heliers, and Orakei. He is fully equipped with mulcher and catcher mowers, line trimmers, chainsaw, blower, hedge trimmer, ladders, and all the other bits and pieces. He finds the Stihl hand tools work best for the work and a Victa mulching mower gives the best finish on a lawn. He provides hedge trimming, lawn mowing, gardening, tree pruning, water blasting, and is more than happy to help his customers with other things around the house. Before his move to Crewcut he worked in a factory as a processing engineer. However, with an interest in agriculture he wanted to get outside more. So with a Bachelor’s Degree in Agriculture and Masters focused on Organisation Management, he was keen to own a business where he could be outside and deal with plants. Yugan has friends in the industry throughout different companies, so when he did the research, he made sure to discuss with them all to find the company that would work best for him. From these conversations he soon found that Crewcut was the company for him. Growth in his business is very important, so that’s something thats on Yugan’s to-do list. With the help of a full-time worker on the services, and his wife helping out with the invoicing, he has the capacity to get a lot more work done so the business is successful. In his spare time he just really enjoys listening to music. And if he has the time for it, he loves to play badminton and go swimming. Yugan is also willing to learn any skill. He can learn quickly and always accepts a challenge. He likes being able to find the most efficient method to get the task done. He has learnt how important it is to maintain communication with your customers. 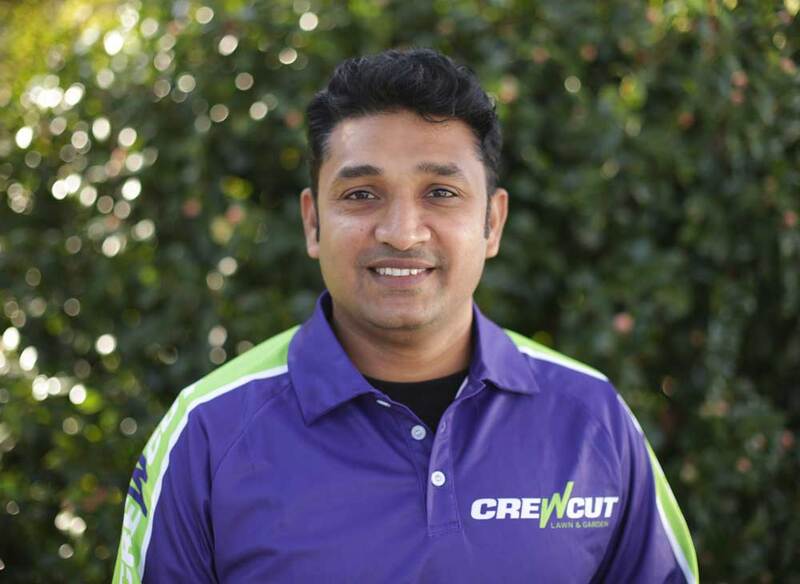 He is also really proud to represent the Crewcut brand. His advice to those looking at buying a business is learn how to use all the machines safely. Also, using a line trimmer is a very important skill to master as it's what gives the professional touch. It’s like going to the barbers, they can cut your hair but if they don’t cut your hairline right it just won’t look as good. It’s much more professional.